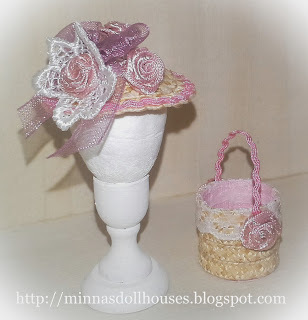 I had bought a package of miniature hat straw few years ago and I looked for it now, as I got interested in hat making. Before I started, I looked for some tips on the Internet and I found a useful tuturial from Lorraine's Miniatures. So, here is my first straw hat and basket. Un conjunto precioso, el sombrero esta fantástico. They turned out beautiful, very delicate! 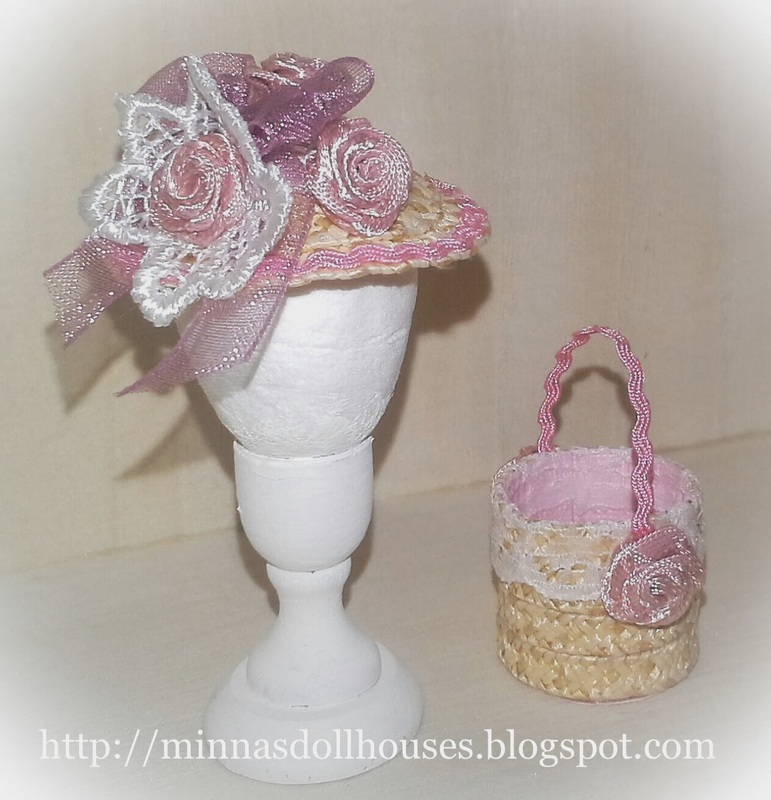 Your first attempt at a hat and basket are so beautiful. I do hope you will make some more and show us photos.